"I have a lot more clarity in terms of what I want to do." The Windies’ historic series win against England was something nobody had seen coming. The No. 3 team played the No. 8, yet the latter won the series convincingly after dominant victories in the first two Tests. One man who played a major role in the series win was Jason Holder. His performance in the first Test, where he scored a double-century coming at No. 8, was outstanding, given his batting position. He also has seven wickets from the first two Tests. 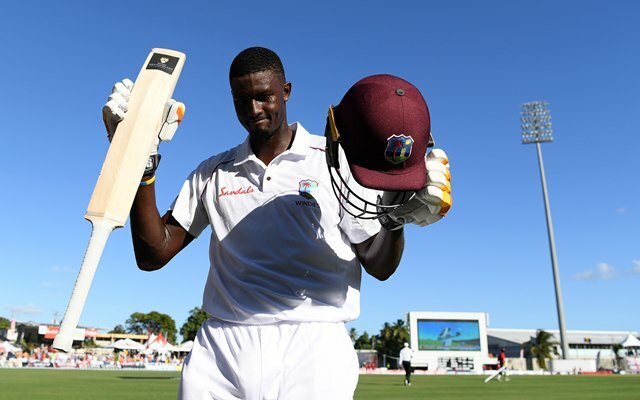 Holder jumped to the top of the ICC Test rankings for all-rounders following his impressive outings in the first two Tests of the series. But this has not been a one-off series where he has shone with both the bat and the ball. He has been churning out consistent performances for the Windies since the past few years. “I have a lot more clarity in terms of what I want to do and what I want to achieve. I have definitely developed a bit more patience, especially in the context of Test match bowling and batting as well. Earlier in my career, I was chasing a few things and now I’ve understood that it’s a game of patience and time. I was able to sit back and analyse where I was and I felt I needed to add a bit more patience to my game,” said Holder to Times of India (TOI). He further said that while he is currently the best all-rounder in the longest format, he would want to see himself in a similar position in the other two formats as well. “I’m ranked the No. 1 all-rounder in Test cricket. It was one goal to achieve and now it is to stay at the top and continue to perform for the West Indies team. Another aspiration is to be the No. 1 all-rounder in ODIs and if I get back to the T20 circuit, I would like to see myself as the No. 1 there as well,” the Barbados-born added.